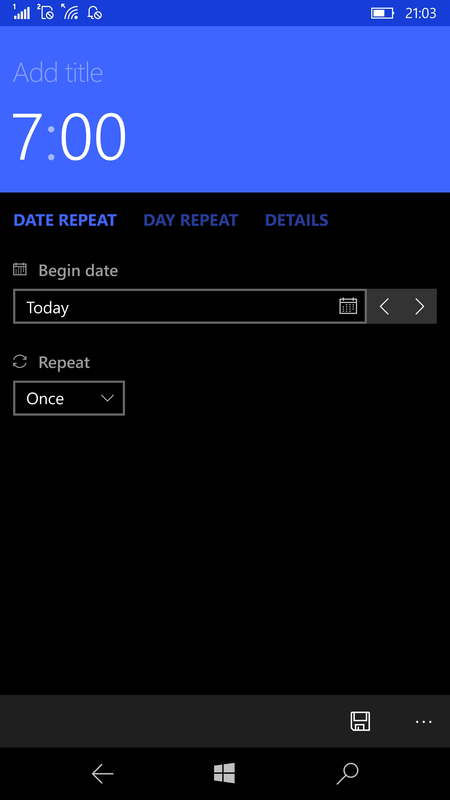 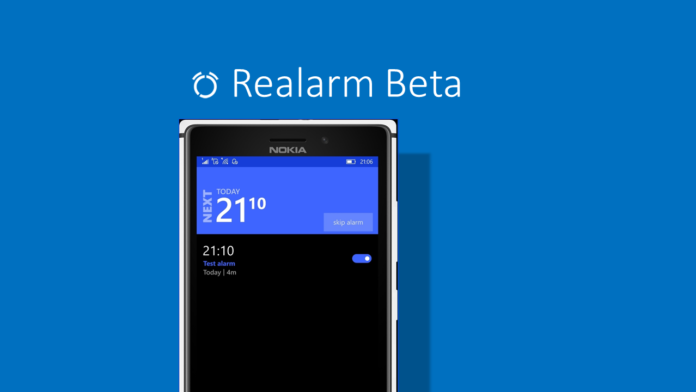 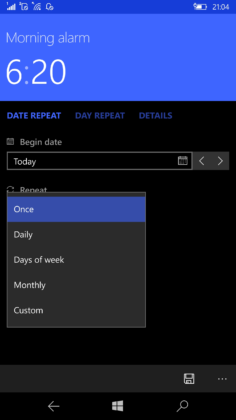 Realarm was one of the finest alarm apps on Windows Phone 8.1. 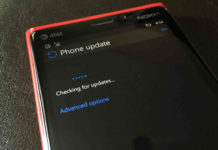 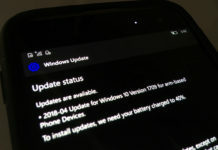 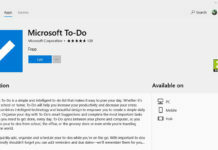 With the launch of Windows 10 mobile, the platform has witnessed an increasing support from the developers who are constantly upgrading their existing Windows Phone 8.1 apps to Windows 10 UWP(Universal Windows Platform) apps to support a wide array of devices. 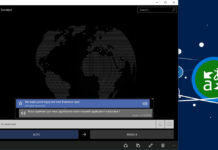 Today Realarm launched its Windows 10 UWP app in beta form for the users to download and help shape the development of the App. 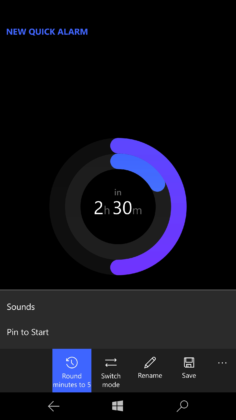 The app has few unique features which makes it really stand out in the Store. 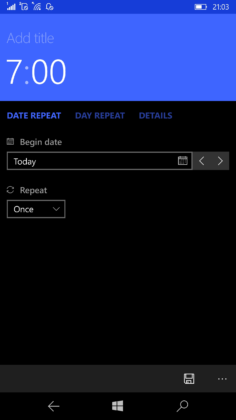 The app follows the UWP guidelines and scales beautifully across different screen sizes. 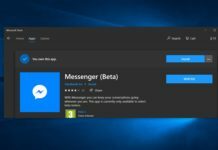 Since it’s a universal app, it also supports Continuum and runs perfectly on the PC as well. 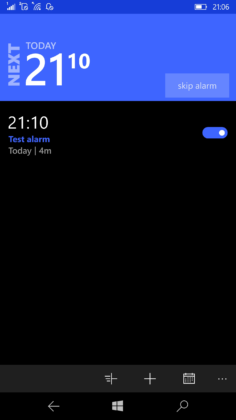 The Home screen of the app is minimal and gives only the essential information such as the next scheduled alarm and the list of all the alarms set by the user. 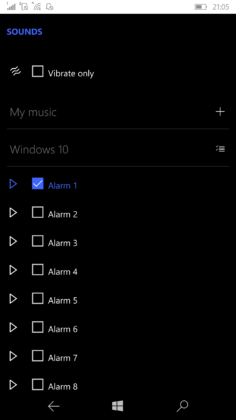 The alarm setting page is neatly designed and has options such as begin date and repeat frequency. Panning over to the details section lets the user set a custom sound for the alarm. 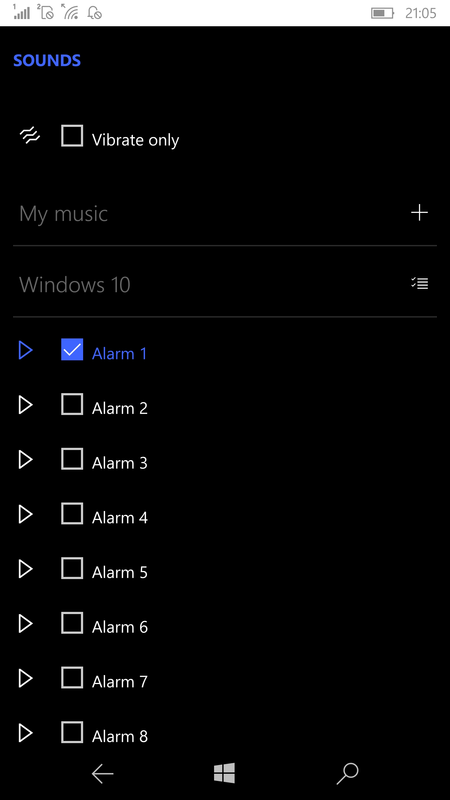 I must mention, the app has a lot of options for the user to select as the sound for the alarm. The app uses a radial clock for setting the alarm time and looks neat on the black background. Though I feel the space can be utilized by the developer to show detail such as time left for the alarm. 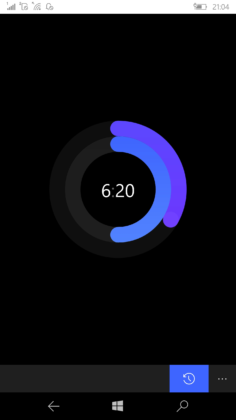 The App also gives the option to set a puzzle which I think will be really useful for people who tend to snooze the alarm and sleep off. Puzzles are basic Mathematics equations which though very simple will surely wake you up if you want to dismiss or snooze the alarm. 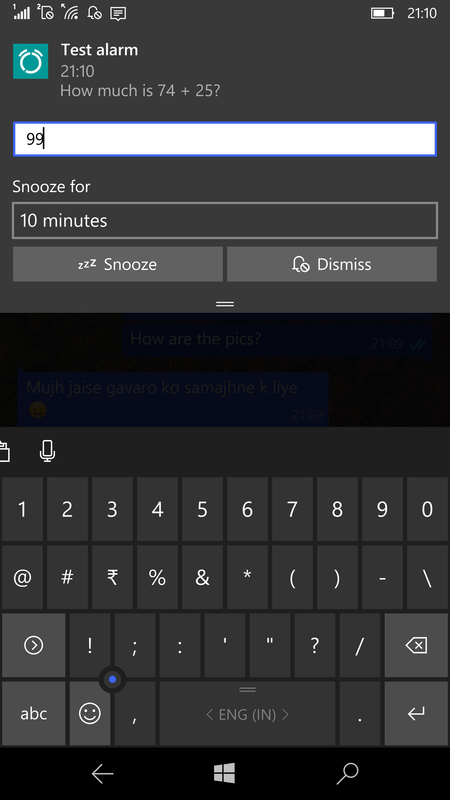 As expected, a wrong answer will make the alarm sound off again and will keep ringing till the time the user gives the correct answer. 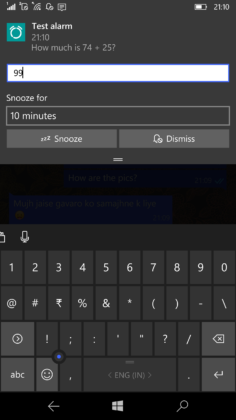 The apps notifications are actionable thus giving the user access to important functions of the App from the notification center itself. Realarm is just in its public beta and makes a must download for people who are bored of the stock Alarm App.